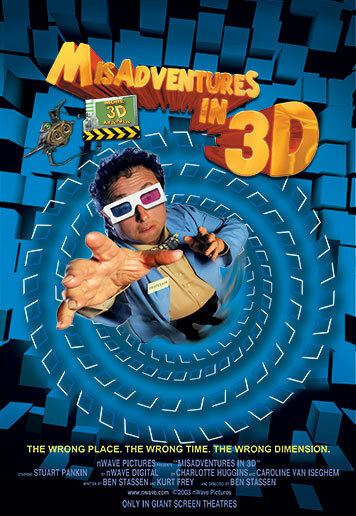 The 3D giant screen film “MisAdventures in 3D” offers fascinating new glimpses into the world of 3D first explored in nWave Pictures “Encounter in the Third Dimension.” Once again, Professor Turcinovic and his not-so-trusty assistant serve as tour guides. The film opens with the breaking news that the professor and his assistant are trapped somewhere in the second-and-a-half dimension. That alone would not be a big problem, but the Board of the Institute of 3D Technology is threatening to shut down the Institute. “MisAdventures in 3D” uses an outstanding combination of dazzling 3D images and jaw-dropping 3D footage to showcase impressive new developments taking place in 3D film-making.